Montana - Last week two Buffalo Field Campaign volunteers were cleared of criminal charges stemming from a June 2, 2010 arrest in the Gallatin National Forest outside Yellowstone National Park. The two volunteers were videotaping wild Yellowstone bison that were attempting to follow their ancient migration route out of Yellowstone National Park and onto public land in the Gallatin National Forest. Government agents on horseback, employed by the Montana Department of Livestock and other agencies, were hazing the bison down a road toward Yellowstone National Park. As the two volunteers attempted to videotape the hazing operation, a government agent ordered them to get inside their vehicle. When the volunteers questioned the legality of the order, they were arrested. Their preliminary hearings in Gallatin County Justice Court were set for the end of August. Before those hearings could occur, their charges were dismissed by the judge "for good cause shown" on August 16, 2010. The Buffalo Field Campaign volunteers were represented by attorney Summer Nelson and cooperating Civil Liberties Defense Center attorney Rebecca Smith. In response to the dismissal of the charges, Smith stated, "we had a video recording of the incident so it was undisputed that these two volunteers were simply standing on public land trying to videotape a government operation. They were not in an area closed to the public; they were not blocking the movement of the buffalo or the agents; and they spoke to the agents and police officers in a respectful manner. They simply weren't willing to relinquish their constitutional rights to be present on open public land and film a matter of public interest." She continued, "Buffalo Field Campaign has been videotaping and publicizing these hazing operations for 13 years. We didn't need a trial to establish that these volunteers didn't break the law." Lauren Regan, attorney and Executive Director of the Civil Liberties Defense Center added, "It is extremely unfortunate that public officials abused their power in an attempt to chill the lawful constitutional rights of citizens. Monitoring government operations, especially cruel and unnecessary ones like this, is a basic tenet of our democratic duties as citizens. The government agents in question should be provided some training on the Constitution and Bill of Rights as soon as possible so that this type of travesty does not occur again." Buffalo Field Campaign Executive Director Dan Brister stated: "After years of frivolous arrests and trumped up charges against our volunteers, it is refreshing to see that the courts are capable of delivering real justice." 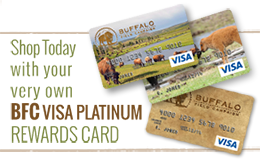 Buffalo Field Campaign is the only group working in the field and on the policy front to protect America's last wild buffalo and their habitat.